Long-listed for the Orange Prize in 2002, Kitty Aldridge’s first novel, Pop, was praised for its convincing first-person portrayal of a thirteen-year old girl. 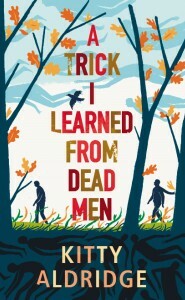 In A Trick I Learned from Dead Men, Aldridge’s third novel, we have another very individual first person narrator, Lee Hart, an apprentice undertaker in his mid-twenties. The story is set in a very recognizable contemporary England, the countryside faintly and troublesomely seedy with its hinterland of ring-roads and fly-overs, and its town, beset by chains – Tesco, Café Nero. Even the funeral director’s at which Lee works is taken over by the large and impersonal Greenacre’s Funeralcare Group PLC. Any fiction based on undertakers will bring to mind the hit HBO TV series Six Feet Under and some of the same kind of comedy attaches here, but this is a very different operation from that slick and rather glamorous US business. It’s necessary to have a strong stomach for parts of this novel. I had to clench my teeth while reading the description of how you make a corpse’s mouth stay shut. Aldridge has done her research and has made Shakespeare and Son Funeral Services – and indeed her whole story world – very convincing. She is inventive with Lee’s voice and has fun with his use of cliché. For example, his register shifts when he’s with his pal in the pub where they talk mock historically: ‘Good evetide, maestro’; ‘The ale beckoneth,’ and he departs into frequent snatches of Spanish and French too. However, on occasion his verbal tics are rather too insistent. His abbreviation of well worn phrases –‘end of’ ‘good as’ ‘same old’ etc become irritating in their frequency and the more the voice strained towards this kind of perky vernacular, the more distanced I felt from the character and the more aware of the writer’s hand. And there were times when the overly faux naivety of some of Lee’s remarks – ‘Constellations look easy on tea towels and mouse maps but they’re complicated in the actual sky’ – felt rather patronizing to the character, of whom I’d grown quite fond. Lee is a sympathetic figure, struggling to remain upbeat despite his morbid job, his mother’s cancer, his catatonic stepfather and the responsibility he feels for his deaf younger brother. There’s a tender thread of flashback concerned with memories of his mother’s illness, which is carried along on an angry undercurrent about the quackery surrounding alternative cancer treatments. For most of the novel, poor Lee is on a downward trajectory, losing his job, being disappointed in love and suffering other serious losses. Listed like this, the subject matter may sound depressing, but the overall effect of the novel is certainly not. 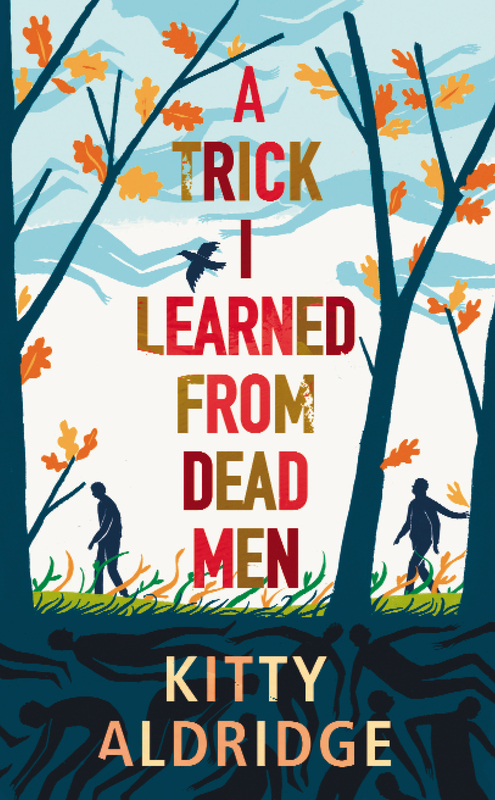 Delivered in a (largely successfully) quirky and original voice, often amusing and touching, A Trick I learned from Dead Men illuminates and dignifies an ordinary consciousness in an ordinary little corner of England.